DuChateau Vinyl Deluxe features a realistic texture, pattern and color that creates the same rich warmth as the ancient natural hardwood floors found in the European estates centuries ago. The Vinyl Deluxe line is modeled after the successful hardwood flooring that won DuChateau the 2012 Interior Design “Best of Year Award” in the Hard Flooring Category. The Vinyl DeLuxe collection is a durable and low maintenance alternative to hardwoods with 50% recycled content and certified for low VOC!! This glue down luxury vinyl plank is an environmentally friendly “green” selection for residential and commercial settings. View the entire collection of DuChateau Vinyl Deluxe at either one of Area Floors showrooms. DuChateau comes in a wide section of colors, from light and natural to dark and rich. 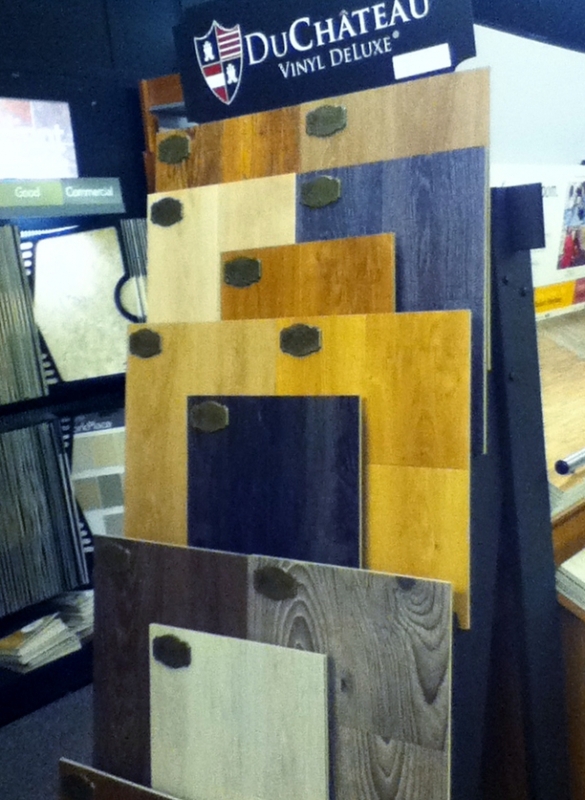 Our favorite is the Graystone color, it looks just like one of our hardwood floors! You have to come see these in person, the pictures don’t do them justice!! Considered some of the best vinyl flooring available, Luxury Vinyl Tile Planks and Flooring is designed to withstand heavily trafficked areas without losing its rich beauty. LVT not only wears extremely well it requires only basic maintenance partially due to its water resistant design making it an excellent choice for kitchens, bathrooms.